While Samsung is trying to create an early-bird monopoly in the smartwatch market, Apple and Google are busy working on a smartwatch of their own. Though both the smartphone giants haven't announced anything yet, it's only natural to assume that they're not going to overlook such a huge market. Samsung, with their Galaxy Gear smart watches was the first big company to make a foray into wearables. Serving as a mere companion to Samsung's Galaxy smartphones, these smart watches haven't been met with glowing reviews. Many find the Gear smartwatch clunky, lacking features, and overall, an unbaked product. Though Samsung made the first Gear watch based on Android, it has quickly realized its mistake and switched to Tizen instead. Thus, we don't have any major Android-based smartwatch available yet. Given that the smartwatch competition has just commenced, we, as tech fans, have some seriously high expectations from Google. If Android were to make its face shown on a watch, it better be good. That's why we've listed some of the things we want from an ideal Android smartwatch. 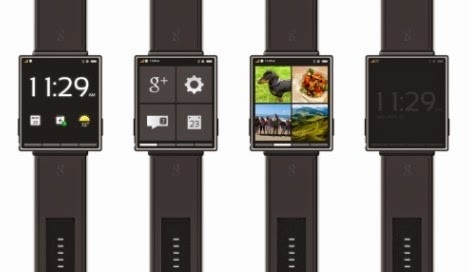 As ridiculous as it sounds, we don't want something outrageously bulky with some fancy buttons on our wrists. We want something that we could wear anytime we hang out with our friends without being labeled as "Inspector Gadget." A smartwatch should be elegant, have an always-on screen that shows the time, and has a design that makes it ideal for everyday use. It is highly unlikely that Google will overlook this part. Google Now is the search giant's biggest product, and the way it works goes perfectly well with wearables. Google Glass has Google Now at its core, so we hope that Larry Page doesn't overlook this one. We might be able to take good care of our smartphones but a watch is something you wear all the time. Having it on 24-7 risks spoiling it when in contact with water. That's why we hope that the smartwatch is water resistant enough to survive daily use. Imagine going outdoors and someone asks you the time. You look at the watch and are unable to tell what hour it is. Galaxy Gear's OLED becomes almost impossible to read in strong sunlight, we hope Google comes up with a better product than that. Having a good battery life is a must as far as smartwatch is concerned. We hope that Google's watch comes with an amazing battery life that lasts at least a couple of days. You can't expect people to take off a wearable every couple of hours to charge it. With the release of Kit Kat, Google has been putting a lot of special focus on performance. With a smartwatch, we hope the search giant continues its efforts in this department. No one wants a slow, sluggish device no matter how fancy it looks. Samsung is known for gimmicky stuff. But Google, given its brand name, cannot afford to have any features that don't serve the users. We hope Google stays away from fancy features and sticks to the basics when creating the perfect Android smartwatch. Less is more, as some wise man said. One of the biggest drawbacks of Galaxy Gear is its inability to function as an independent device. Many users have complained that Gear merely functions as a secondary display for showing notifications from their phone. One thing that the new Android watch needs to have is the ability to function without the phone. In other words, even if you've never owned an Android phone, you should be able to use a smartwatch. Above all, the smartwatch should be affordable for the average Joe and Jane. If not, it should at least be worth the money. We hope Google keeps the UI simple and easily accessible for the non-geeks out there. A wearable should be so simple that it barely feels like a "smart" device. Let's hope Google sticks to simplicity while making this one.